The first week of February is often referred to as Scouting Anniversary Week to commemorate the founding of the Boy Scouts of America and the issuing of our National Charter from Congress (February 8, 1910). The first Sunday in February (February 2nd) is designated as SCOUT SUNDAY (The United Methodist Church and Presbyterian Church (USA) recognizes this day on the 2nd Sunday in February which this year is on February 9th). Troop 67 will observer Scout Sunday with our Charter Sponsor and Troop Headquarters (First United Methodist Church of Monticello) on February 9, 2014. 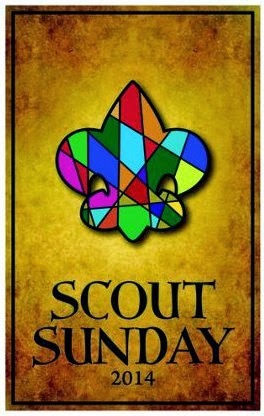 A contingency of Scouts will attend both the morning contemporary (9AM) and traditional (10:50AM) services. Troop 67 has been continually chartered by the First United Methodist Church for over 50 years. We celebrate the long relationship we have with this body of believers as we look forward to many more years of service together. The Boy Scouts of America report that, religious organizations make up 65 percent of chartered organizations using the traditional Scouting program. As we know, our charter organization provides much more than just a place to meet and store gear. Scout Sunday is our chance to say thank you. Thank you First United Methodist Church of Monticello for your continued prayers and support of Scouting programs in the Monticello/Drew County area. Scout Oath: On my honor I will do my best, to do my duty, to GOD and my country and to obey the scout law; to help other people at all times; to keep myself physically strong, mentally awake, and morally straight.